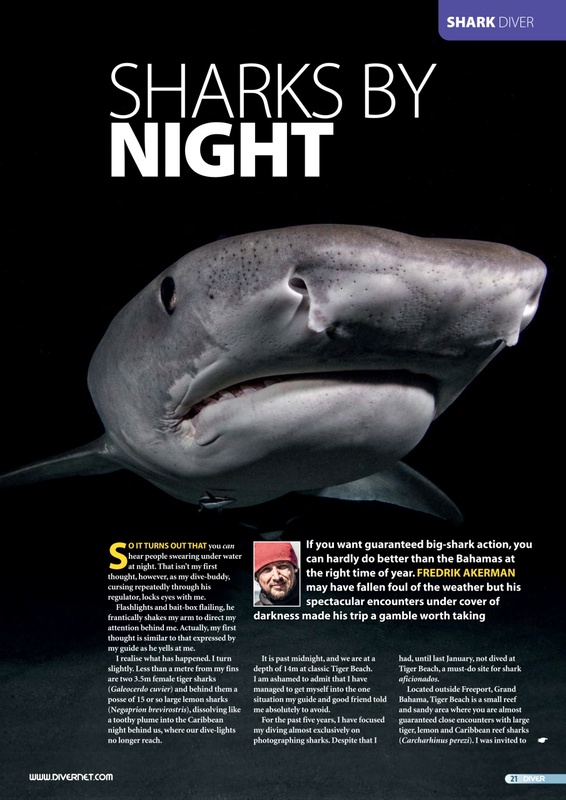 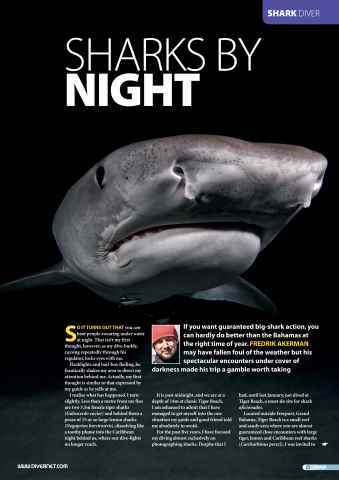 BAHAMAS SHARKS - Hammerheads and tigers beckon. 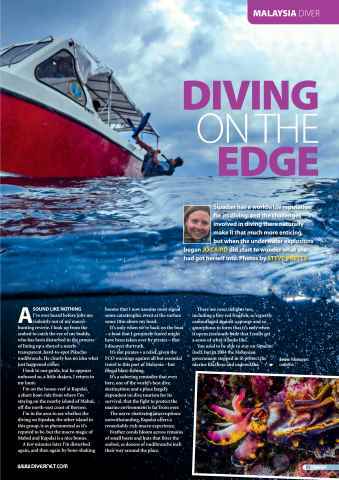 DIVE 2016 - How the year’s major Dive Show is shaping up. 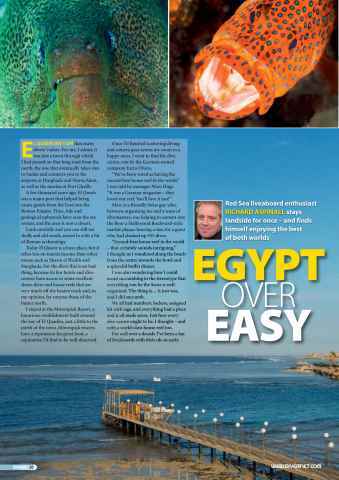 EL QUSEIR - A liveaboard diver stays on land. 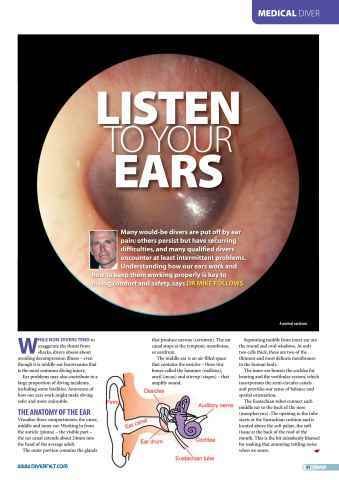 EARS - They’re not just for holding your sunglasses in place. 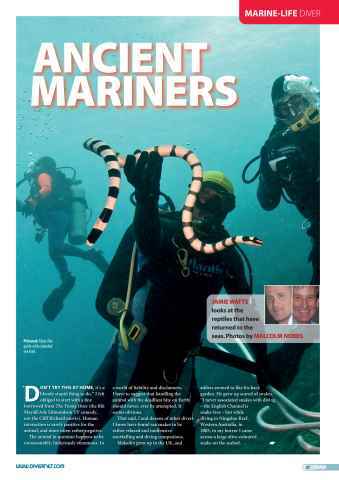 SEA SNAKES - Touching these reptiles is really not a great idea. 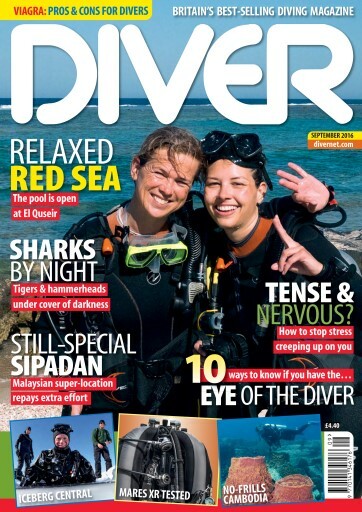 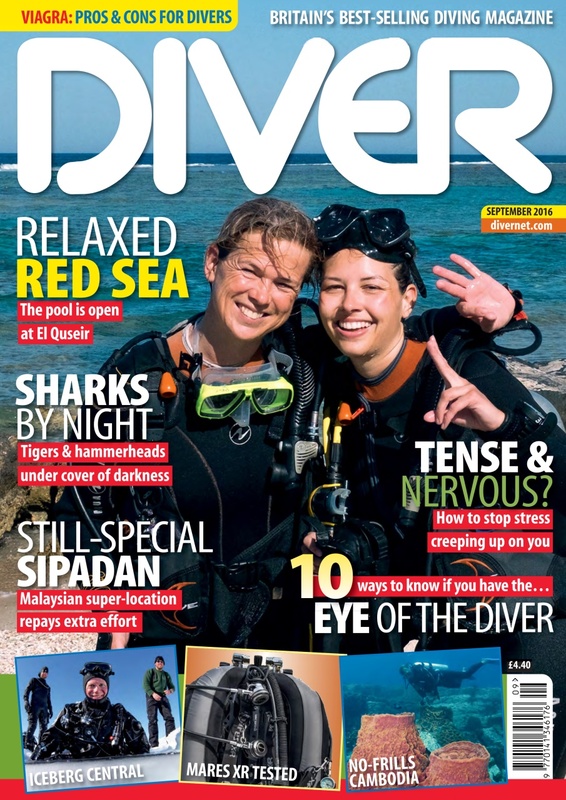 SIAPDAN - Why so many still covet the ‘I Dived Sipadan’ T-shirt. 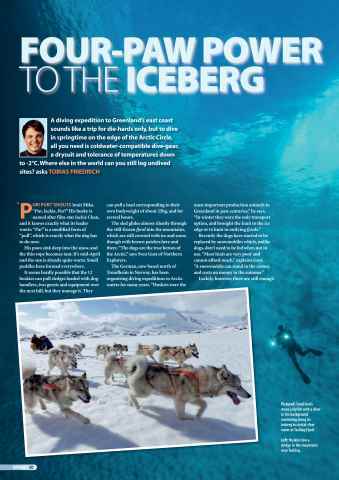 GREENLAND - Four-Paw Power	…to get to dive icebergs. 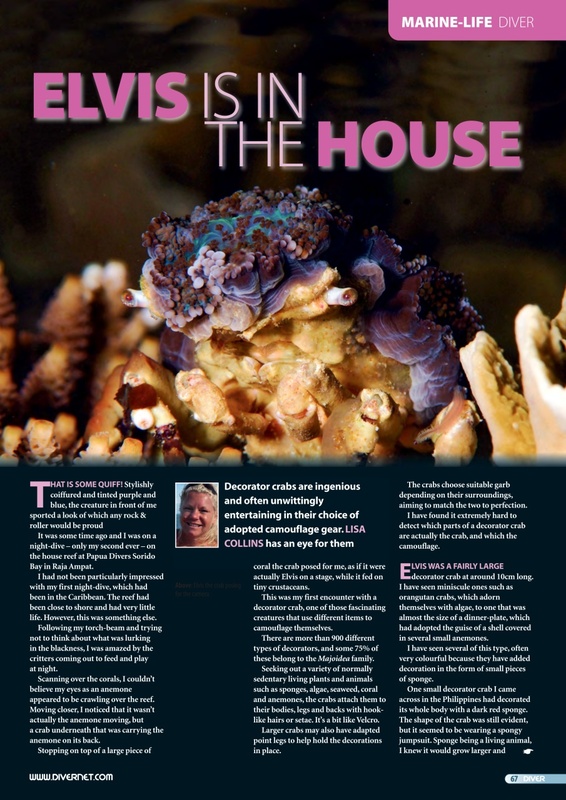 DECORATOR CRABS - Lisa Collins explains the appeal. 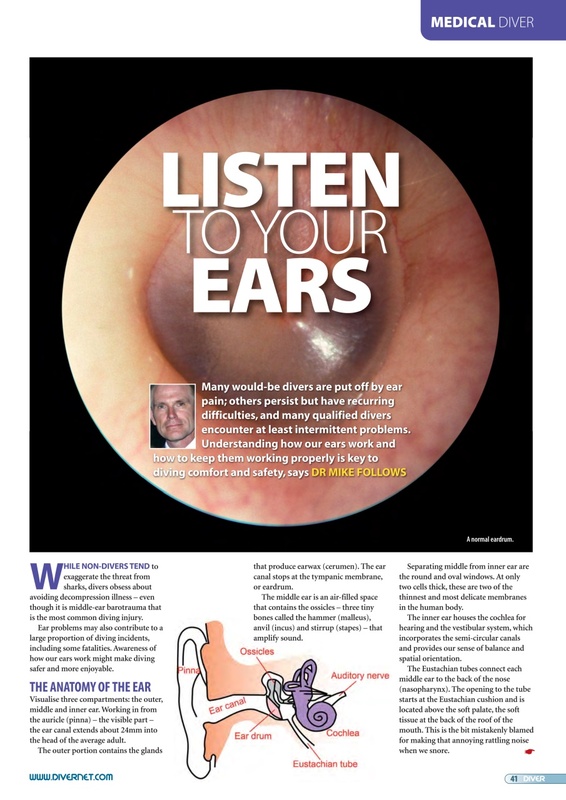 STRESS - Simon Pridmore takes us through some case histories. CAMBODIA - Paul Colley gets down to the basics.